So far I have spent around ~6M$ in setting up the whole system in this career save. The system is functional, but can not yet be used to it&apos;s full capacity because I still miss more Ore miners and at least one more 15k ore container to join the fleet. 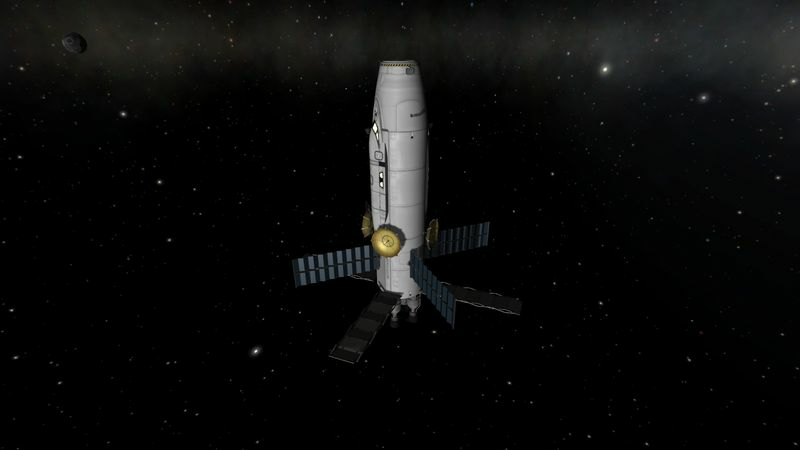 Most of the building was done, after I had finished the Tech Tree and while waiting for my first probes to reach Duna. I was lucky in that save to have one of the richest ore concentration on Minmus in a Flat. The 2 forefront vessels are ore miners and hauler, each with a capacity of 9600 ore units. In the background a refinery truck and two Liquid fuel + Oxidizer hauler. These 3 vehicles are not used anymore. 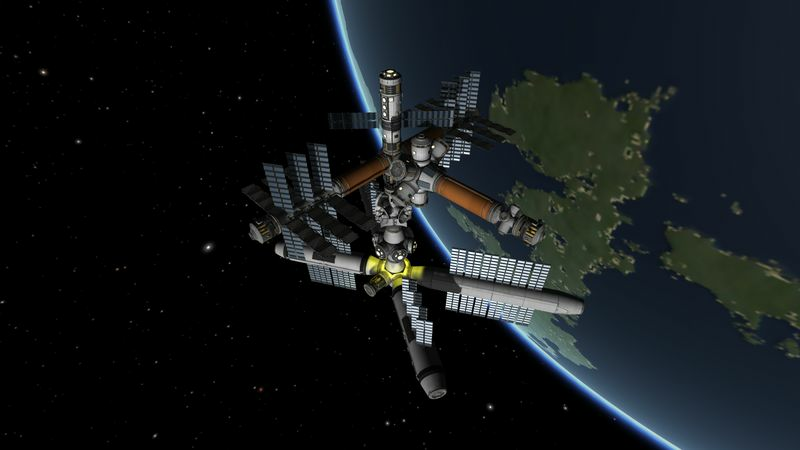 This station will only be used to refuel haulers in the future, the refueling of other missions being done on the Kerbin orbital fuel depot and refinery (KeSS 02) shown just below. 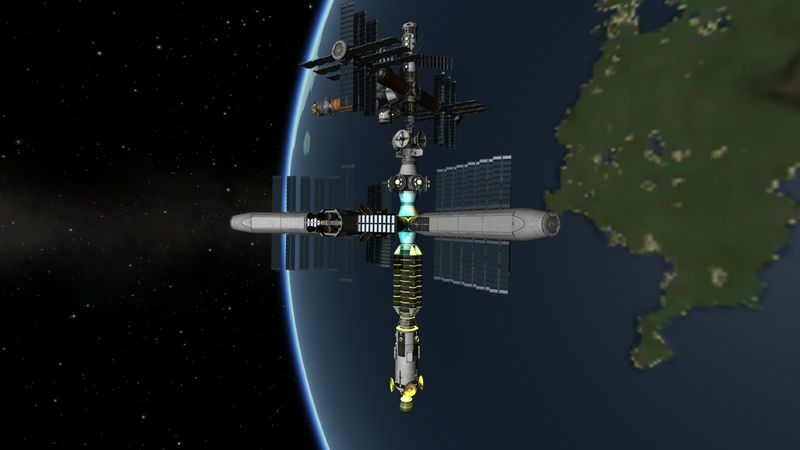 The station is fully functional. 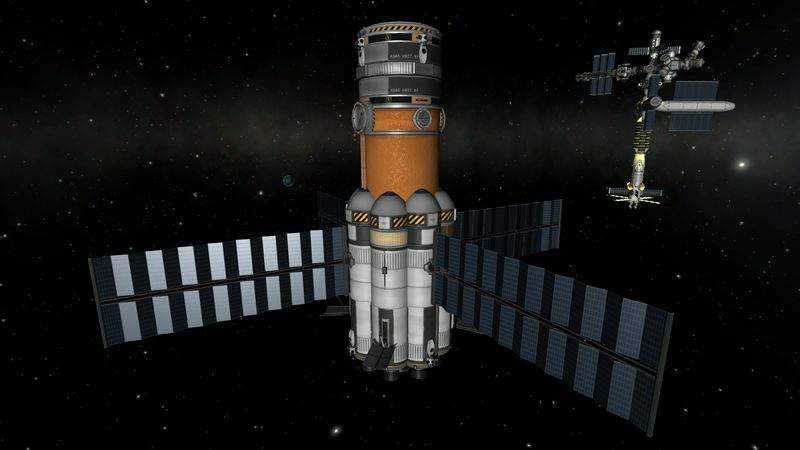 Another Senior docking hub as the existing one is already quite busy with the fuel depot and ISRU ? 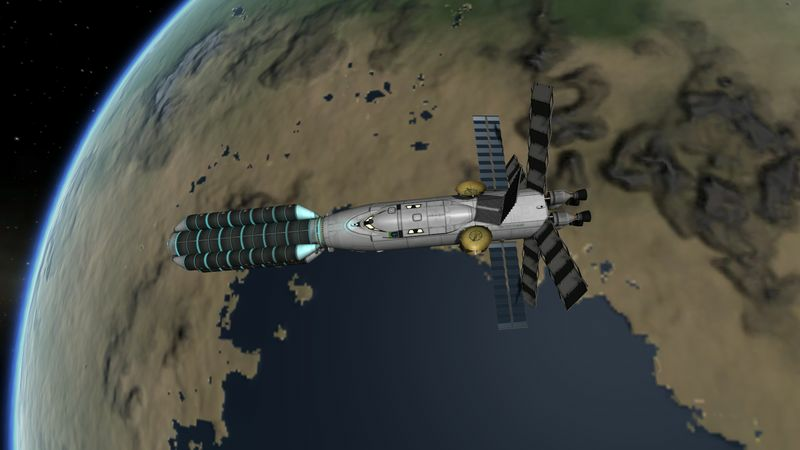 This is the transfer vehicle mainly used in the Kerbin SOI, and also for Duna duties. 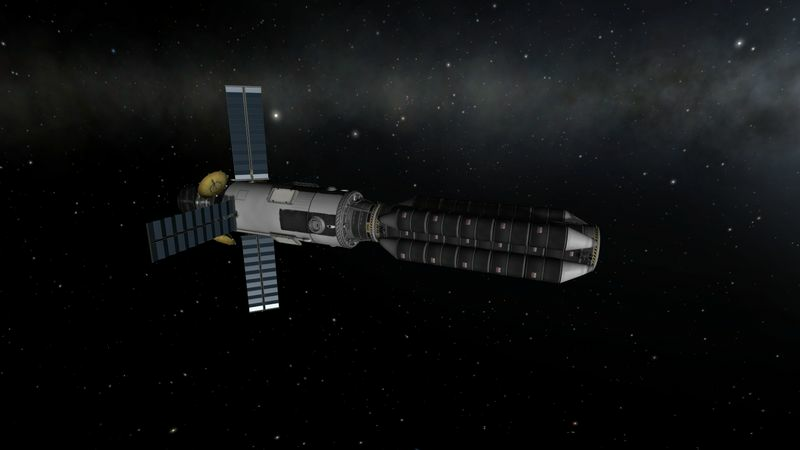 The nuclear transfer vehicle is used to haul 15 ore container between Minmus and Kerbin. This vehicle will also be the main transfer stage for the « manned » interplanetary travels (except Duna for which I plan to stick to Hades 2). When used in this role, the crew will of course not reside in the cramped crew compartment of this vehicle. 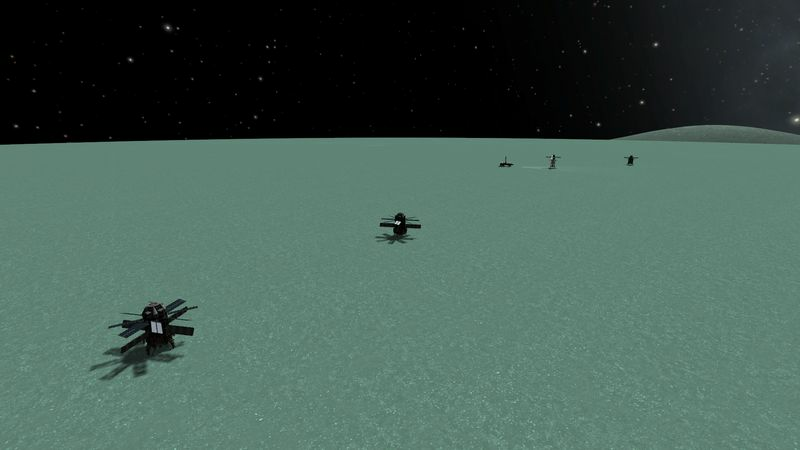 This is the second version of the Minmus Surface Shuttle. 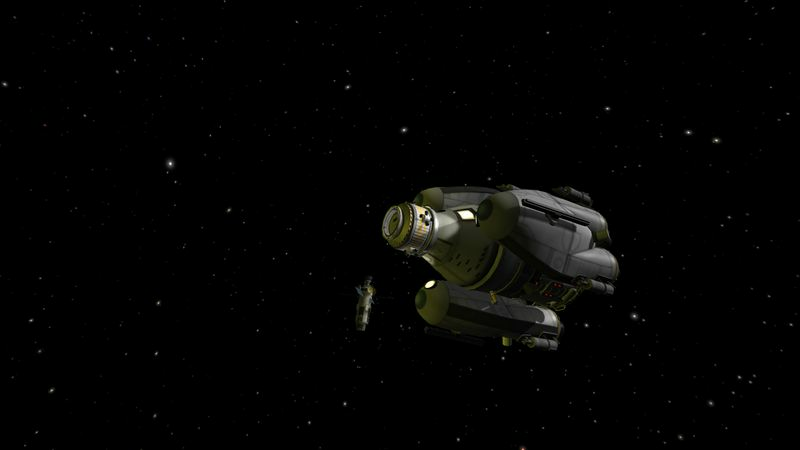 In the background the Hades 2 mk1 vessel which brought the shuttle to Minmus. 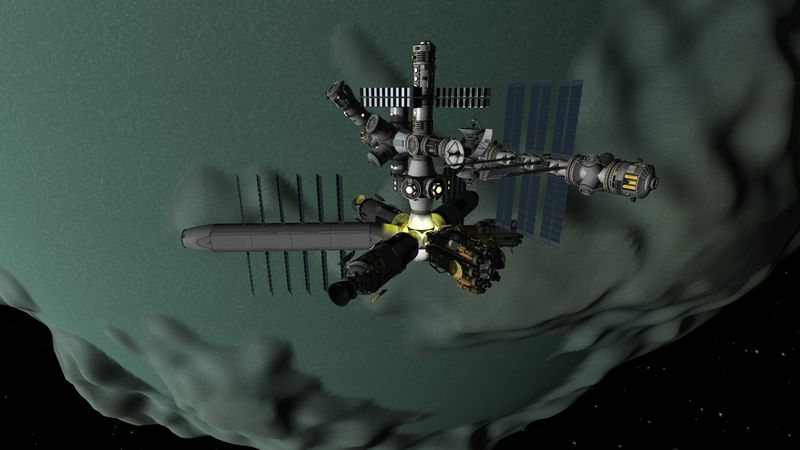 The ore miner mines 9600 ore units and bring them to MiSS 02, after landing, and when fully loaded there ~700m/s of Δv available which is more than enough to enter Minmus orbit and rendez-vous with MiSS 02. The vehicle much however be refueled after each mission. 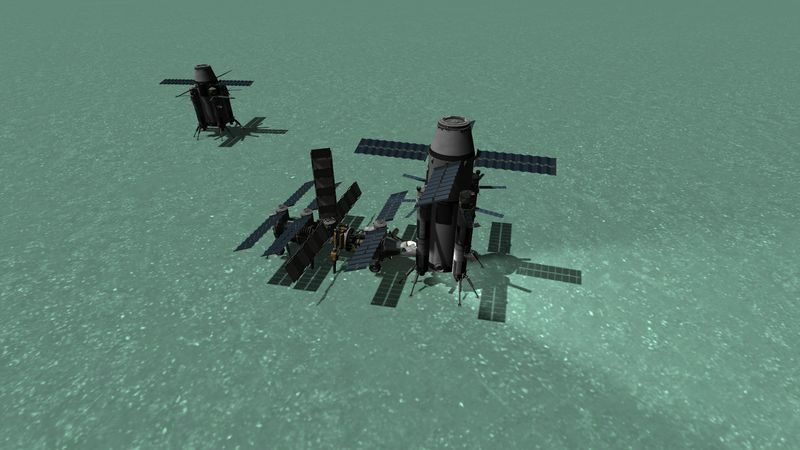 A planned improvement for a second version is to have a small ISRU on board, and refuel while mining, which would avoid taping into MiSS 02 fuel depot storage. 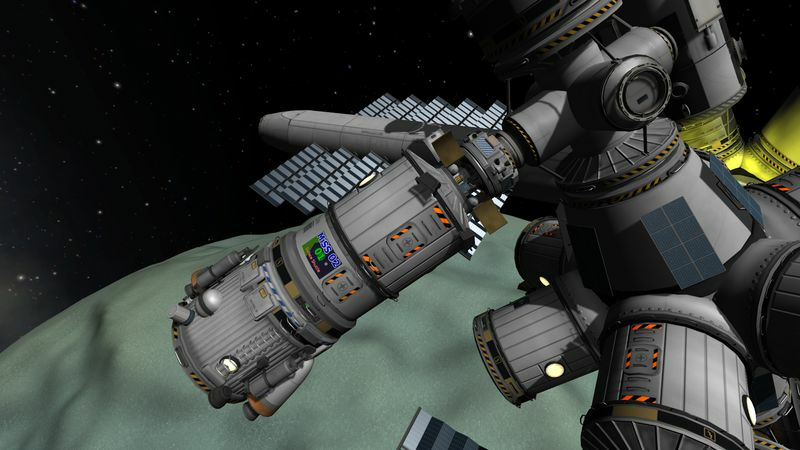 Another planned improvement is to have kerbal seat on the vehicle so that an engineer can come on board to improve mining efficiency if needed. Some of the ore is refined directly on MiSS 02, but the bulk of the ore is brought to Kerbin. 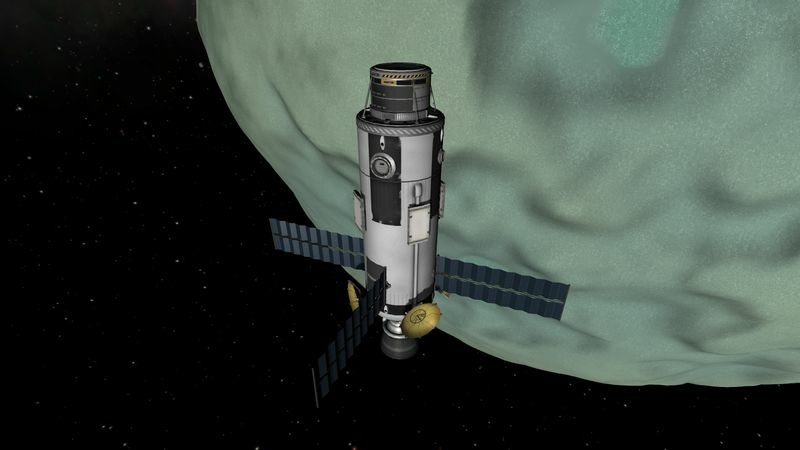 The standard Ore container for transfer between Minmus and Kerbin contains 15k Ore.
As shown above, the transfer vehicle does not have enough Δv to transfer the ore from Minmus to Kerbin without aerobraking. So the liquid fuel transfer vehicle was replaced by a nuclear transfer stage as shown just below. The same ore tank than before, but with the nuclear transfer vehicle. The only Hades transfer vehicle. 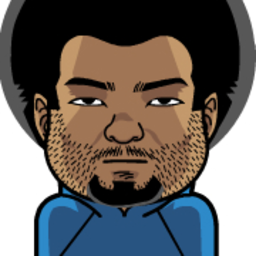 Might be considered as a prototype of the idea. With it’s 25 fuel tanks and 2 types of fuel (LF+Ox and Monopropelant) the vehicle was a pain to refuel. This lead to the design of Hades 2. 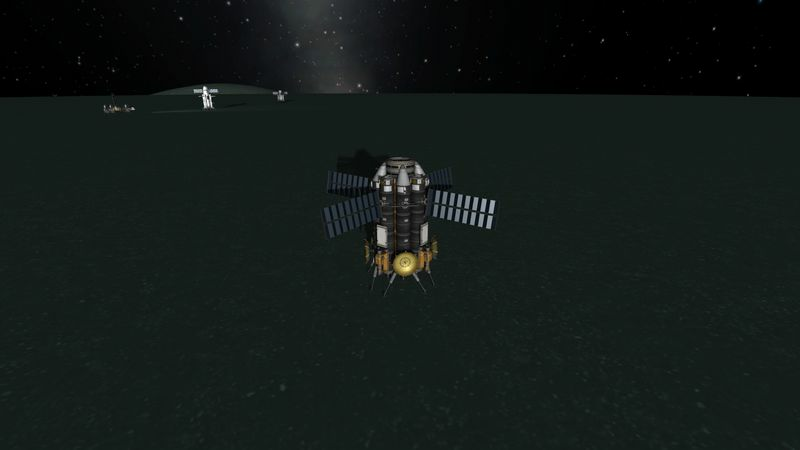 This vehicle is now in a parking orbit around Minmus. Docked to MiSS 02, no use for it is planned in the foreseeable future.